Stay organized, and manage your time better than ever with these weekly Blank Calendar Template. These samples are available for free download in word and excel sheets which can be easily modified to suit your requirements. 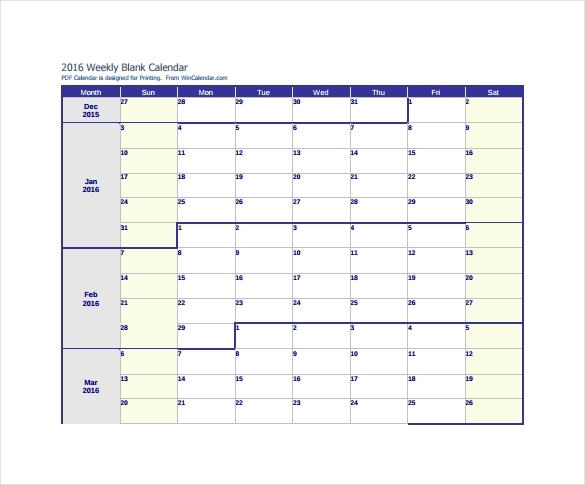 The weekly calendar templates are blank, editable, macro-free and can serve many purposes. Many examples are available here which can used for numerous business applications like people planning, employee scheduling, Event Planning Templates, etc. These Calendar Templates are easy to print and come with lot of colour themes where you choose various colour fonts to suit your style. 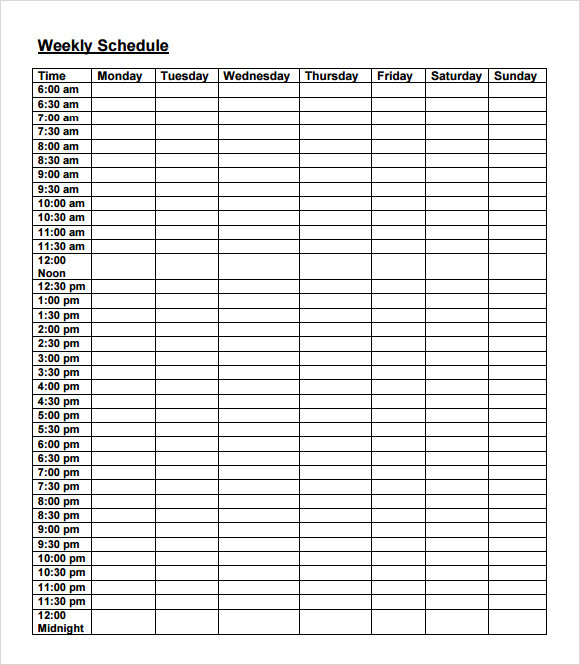 The Time Management weekly calendar template is available in a PDF format and can be easily converted into a Word Document format for editing purposes. 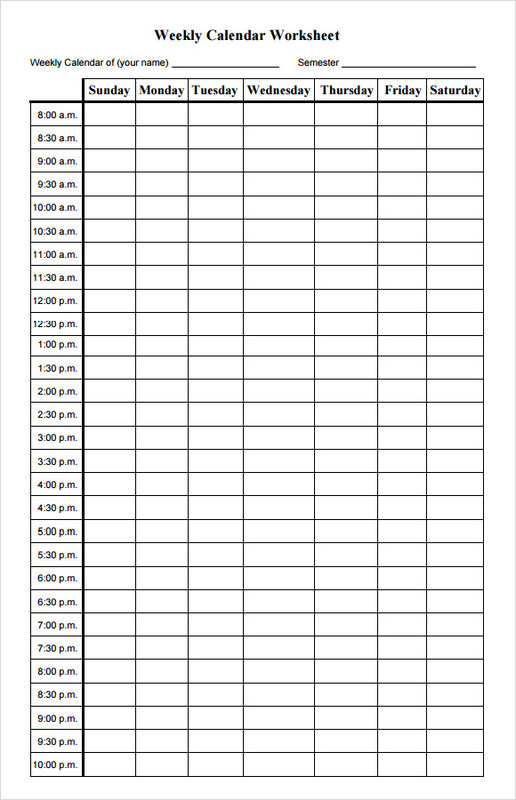 This template includes designated spaces according to the specific time during the whole day. 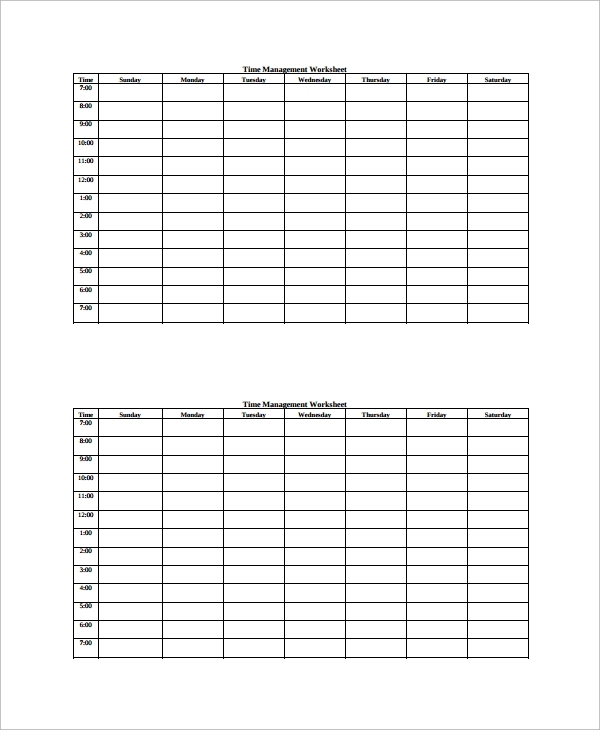 Time management worksheet is easy to use and edit. 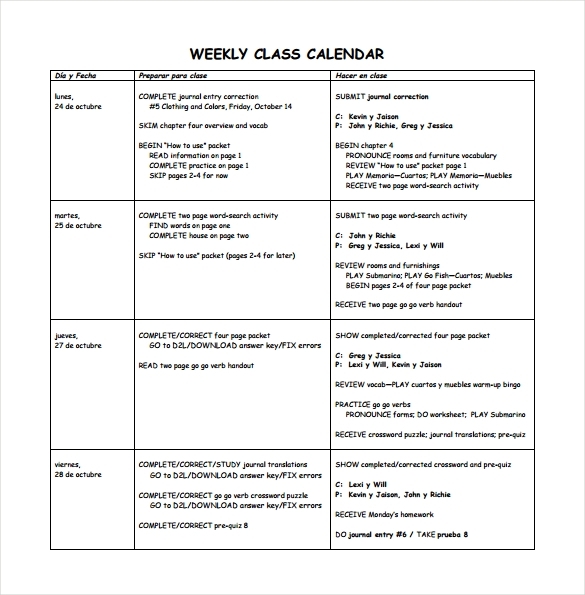 They help a person to properly plan the week. 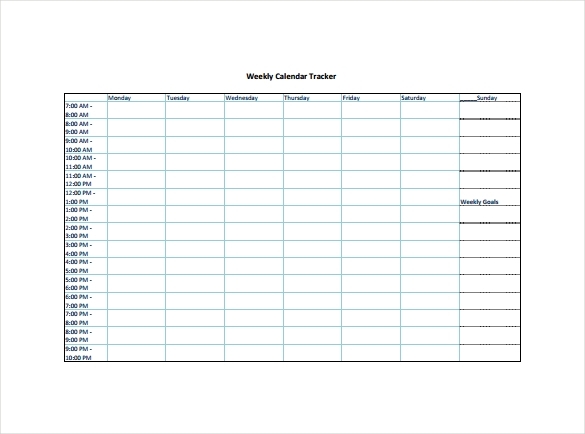 Weekly calendar tracker template is available in a PDF format which can be easily downloaded. 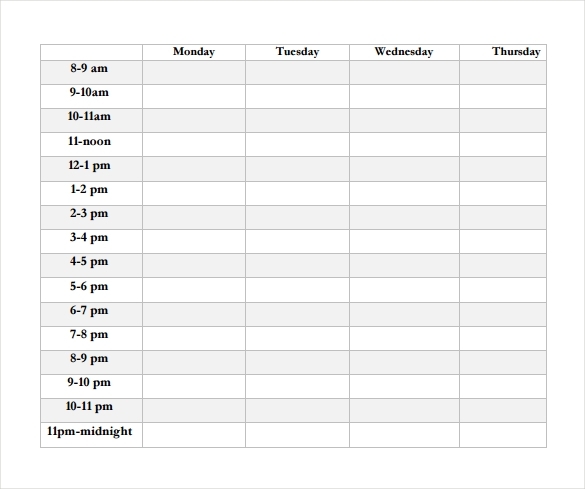 It has proper space available for each day during the week on hourly basis. Every task can be set according to hourly goals and the goals achieved or not can be checked easily. Sunday includes a specific space for weekly goals achieved. 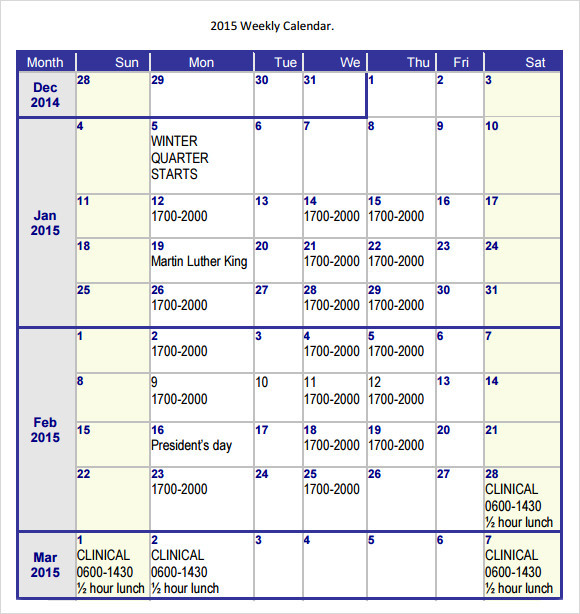 The weekly calendar template is available in a PDF format and can be easily printed. 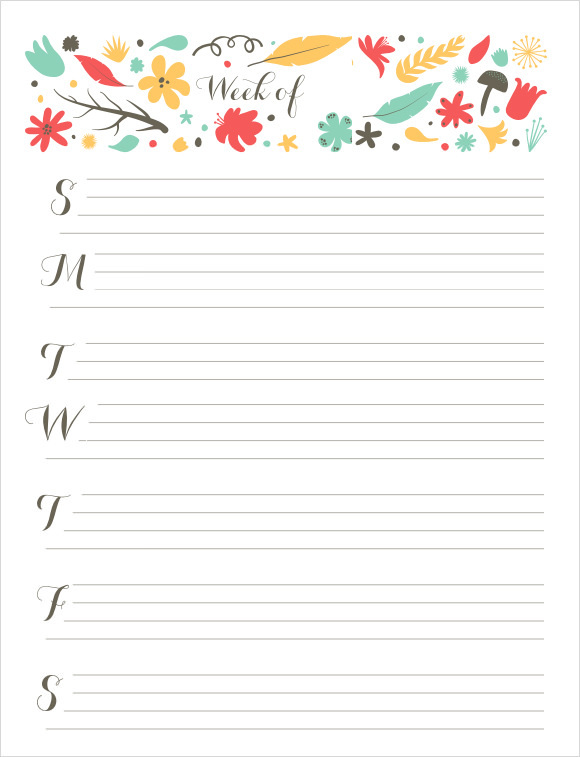 These templates are basically designed for children so that they can set weekly goals and even set reminders for the upcoming weeks. It consists of designated space for descriptive weekly goals. A few lines are provided against each day of the week to put in the weekly tasks to be achieved. 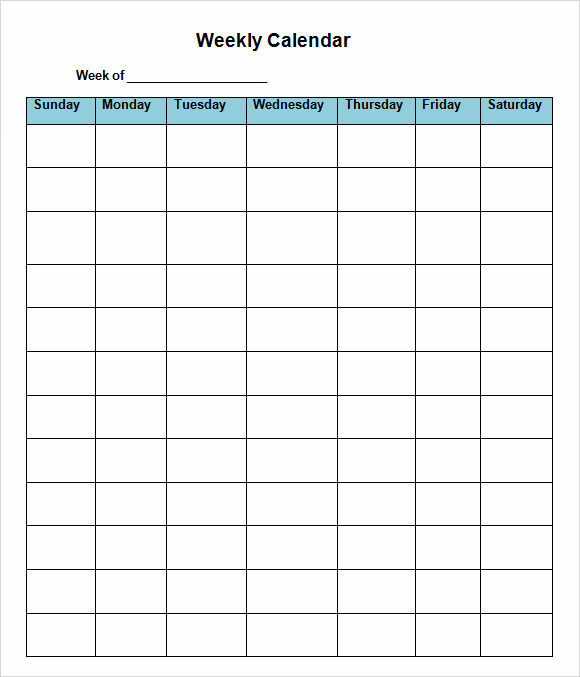 The weekly calendar worksheet template is available in a PDF format and can be easily converted into a Word Document format for the purpose of editing and printing. It is based on half hourly basis from 8:00 am onwards till 10:00 pm. It has designated space for weekly task for every half an hour and helps on keeping a record of the completed tasks and the ones left. 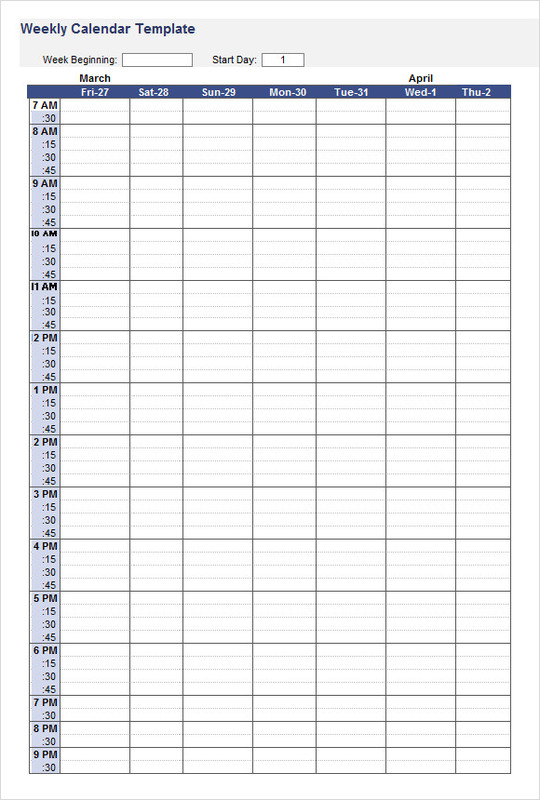 Why do we need Weekly Calendar Templates? 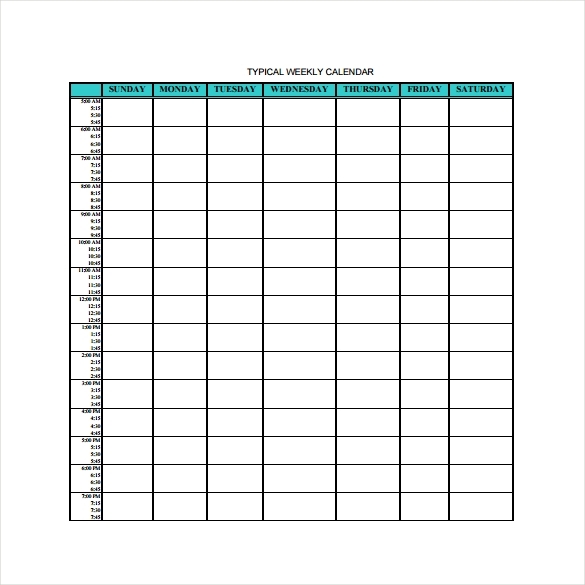 Weekly calendar templates are required to set weekly goals and recording the important tasks. They even help in analyzing the tasks completed and the rest which are remaining. These templates are readily available for printing and editing purposes. Since they are available in PDF formats they can be easily downloaded and even printed for further usage. An appropriate weekly calendar helps to analyze the important works that need attention and the work which can be kept for the future. 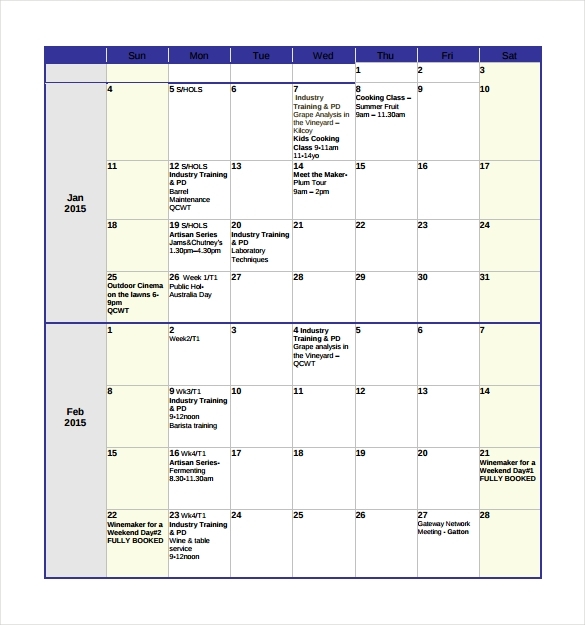 You may like Wall Calendar Templates. 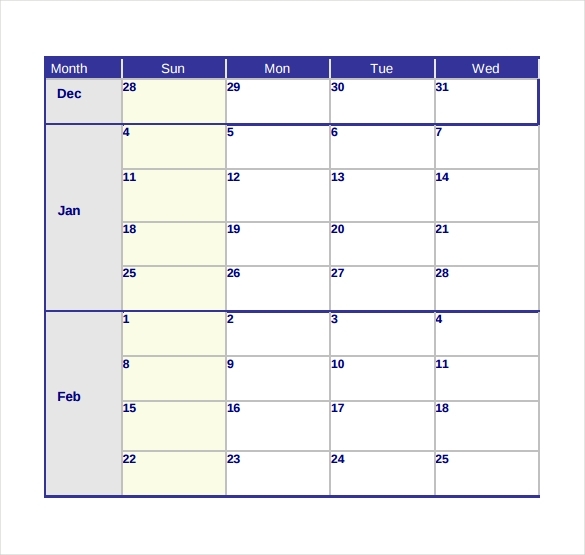 When do we need Weekly Calendar Templates? A weekly calendar is required to set weekly goals and tasks. It even works as a reminder for future tasks during the week or upcoming weeks. The tasks can be set according to half hour or one hour basis according to the templates available. 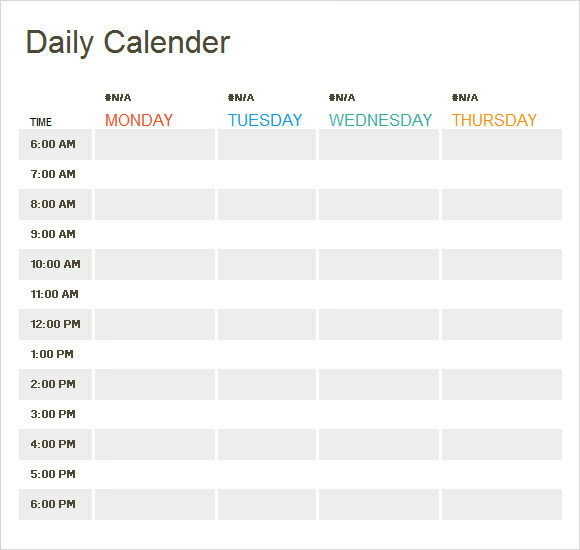 The templates work as a readymade solution for creating a weekly calendar and are easy to use. 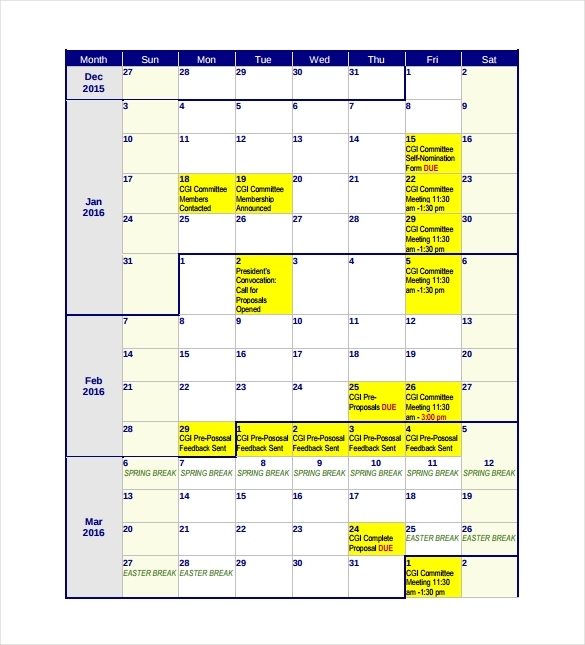 You can also see Photo Calendars. 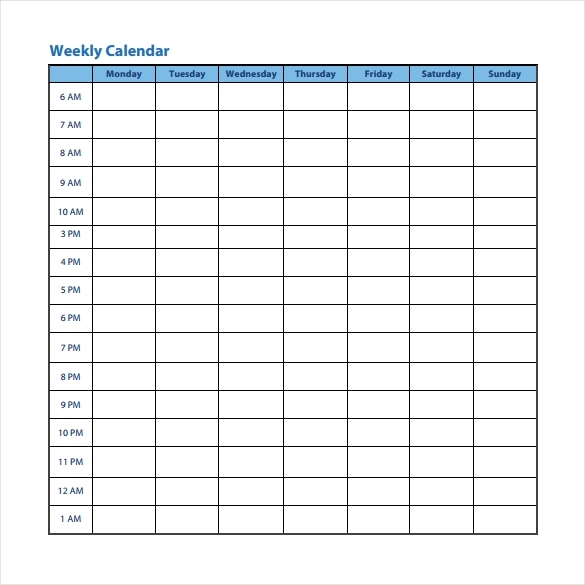 A weekly calendar helps in recording the events and tasks during the week. A person can easily analyze the important things covered and the rest left for the future. Since these are available on PDF formats, they can be downloaded easily. They can even be printed and because of which a person can easily keep a track of upcoming events and happenings.